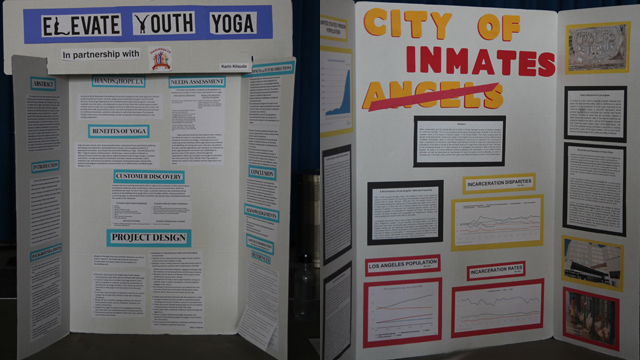 Poster display at the Global Development Lab event on June 5, 2018. 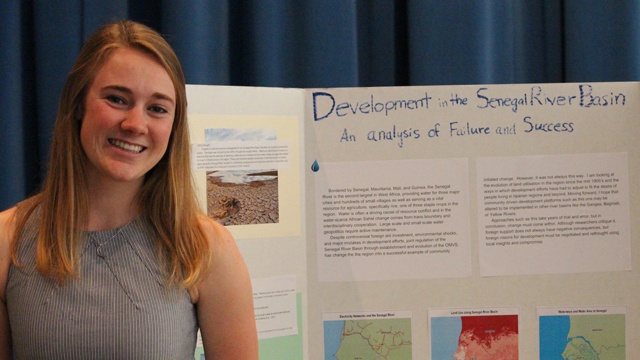 On June 5 in Ackerman Union, members of the UCLA Global Development Lab presented poster displays on development projects that they have researched over the past two quarters. 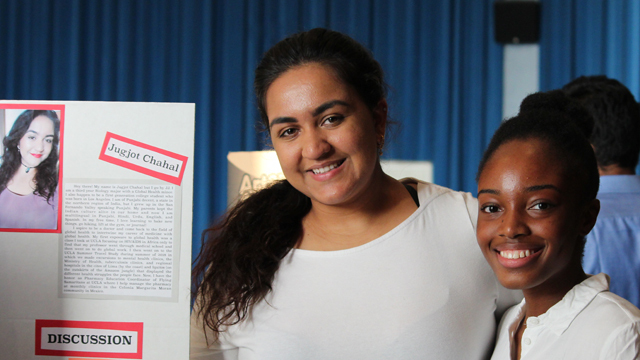 UCLA International Institute, June 8, 2018 — The UCLA Global Development Lab (GDL) held its annual research and networking event on Tuesday, June 5, in the Grand Ballroom of Ackerman Union, where members of the student association presented their designs for domestic and international development projects. The results were impressive. 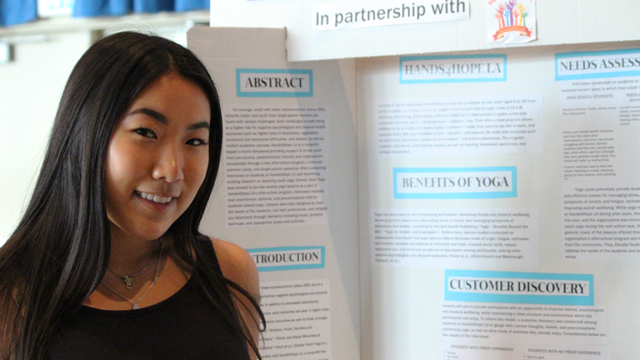 Students presented poster displays on a variety of proposed projects and proof-of-concept ideas that they had been developing since winter quarter. 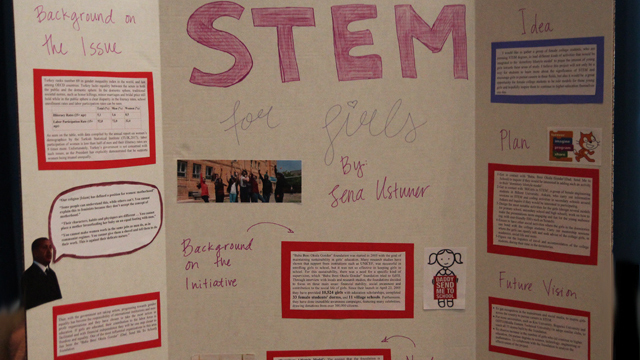 Attendees circulated among tables in the Grand Ballroom, listening to Lab members describe their individual projects, background research and project challenges. 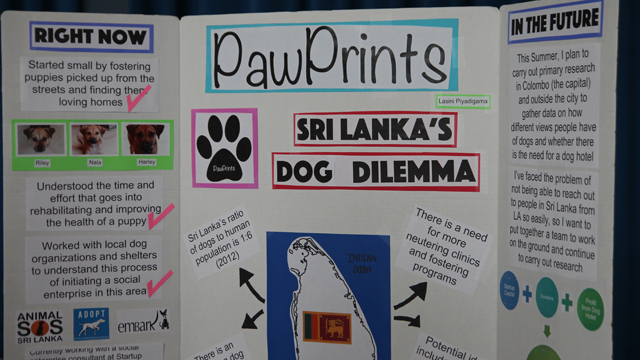 The proposed projects addressed an array of topics and targeted populations worldwide. 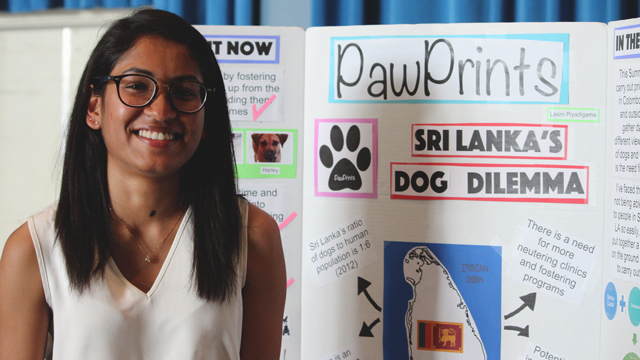 Among the students' ideas were projects for providing services to homeless people in South Africa, yoga classes for disadvantaged youth in West Hollywood, an awareness campaign on the need for prison reform in the U.S. (using the largest jail in Los Angeles as a focal point), controlling the dog population in Sri Lanka and improving support to international refugee students at UCLA. 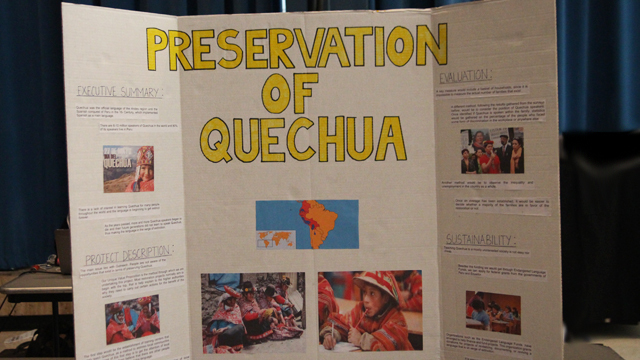 Still other projects planned to improve an urban agriculture program at a Bay Area middle school, conduct an awareness campaign about the plight of Venezuelan refugees in Colombia, increase girls' participation in STEM (science, technology, engineering and medicine) education, preserve the Quechua language (spoken in several countries of South America), integrate arts education into the public school curriculum in Malaysia, combat high teen pregnancy rates in the Dominican Republic and add a data collection component to a sustainable agricultural program in Malawi. 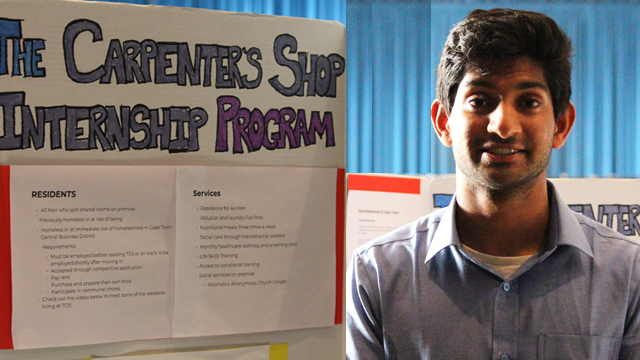 At the end of the evening, a panel of judges awarded first prize to Govind Srivastav for his project, "The Carpenter's Shop Internship Program." A grant from the International Institute will allow UCLA students heading to a study abroad program in South Africa in fall 2018 to implement the project for STD testing for the homeless population served by the locally run Carpenter's Shop program. 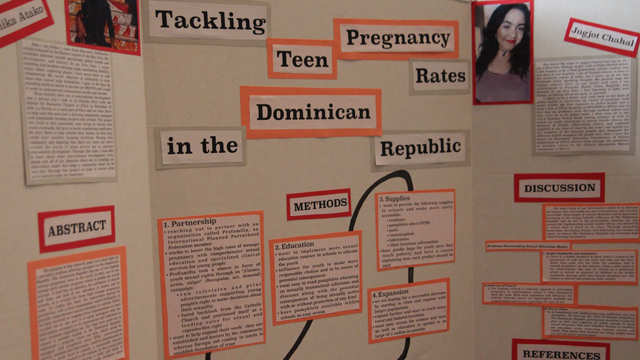 An honorable mention was awarded to Zoe Reinecke, Alexandra Guscott and Erin Herkimer for their project, "Stories of Success: An Awareness Campaign for Venezuelan Refugees." 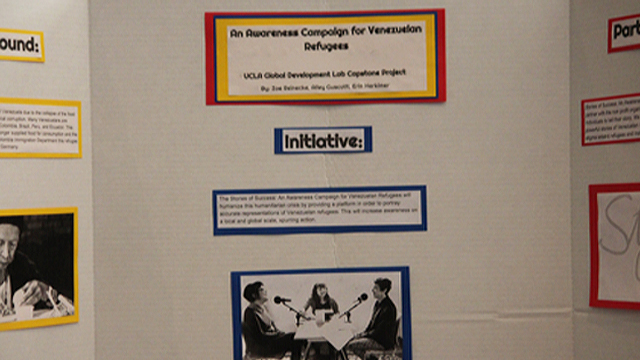 Their idea to raise awareness about the severity of the Venezuelan refugee crisis in Colombia will receive some funding in the 2018-19 academic year from the UCLA Anderson School of Management, spearheaded by Senior Associate Dean and Faculty Director of International Initiatives Carla Hayn. 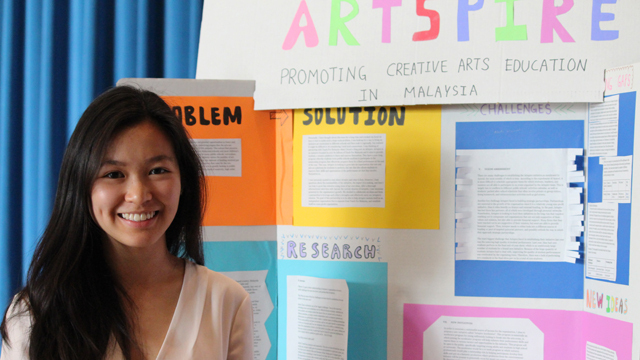 Undergraduate Bruins created the Global Development Lab three years ago to gain hands-on experience in international development. 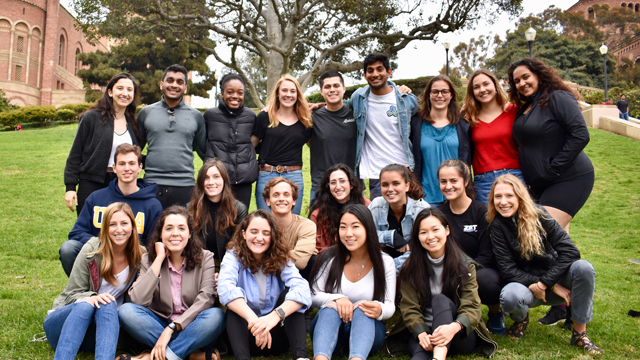 Lab members, who pursue majors in departments and divisions across campus, attend workshops led by development professionals to learn specific skills in needs assessment, project design, project monitoring and evaluation, and impact assessment. They then apply those skills to designing a concrete project. 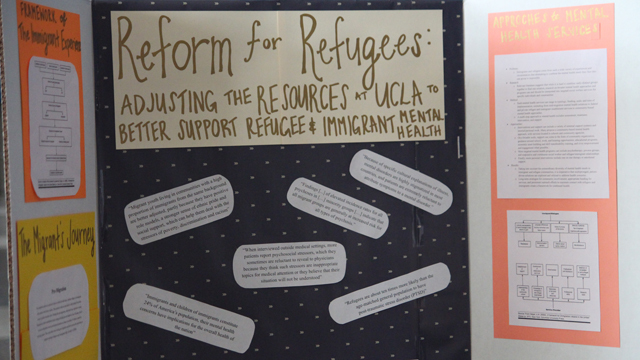 Participation in the Lab includes discussion sessions based on specific readings (developed in conjunction with UCLA Librarian Ruby Bell-Gam), skills workshops and research, including contacting government officials and non-governmental organizations in the country for which students design their projects. 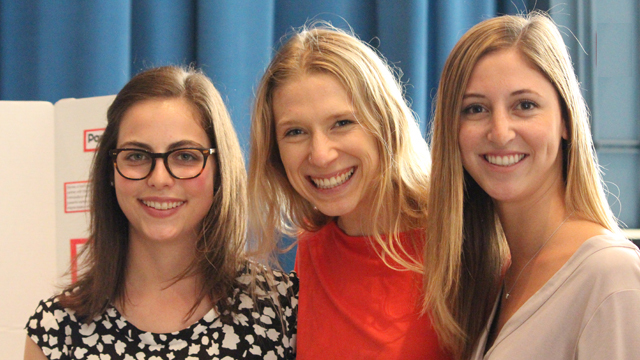 The entire two-quarter process is entirely driven by students, five of whom serve on the GDL board of directors. 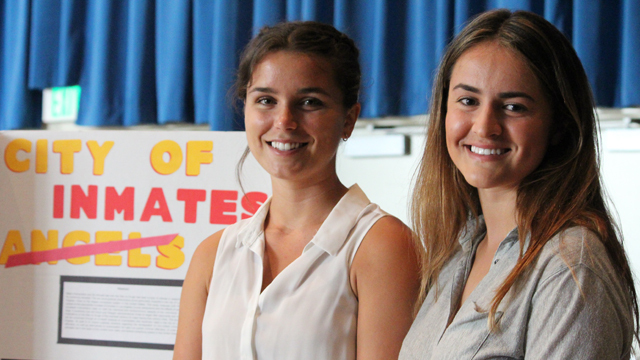 Bruins who complete the two-quarter process can earn two academic credits awarded by the UCLA International Institute. 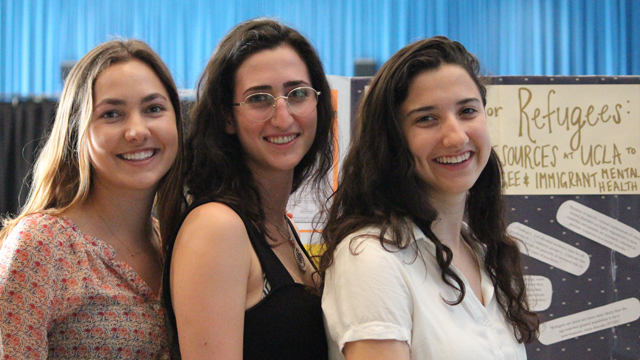 In the past, Lab members have applied for grants to implement projects on the ground, both from international organizations and from the UCLA Citizens Fellowship. 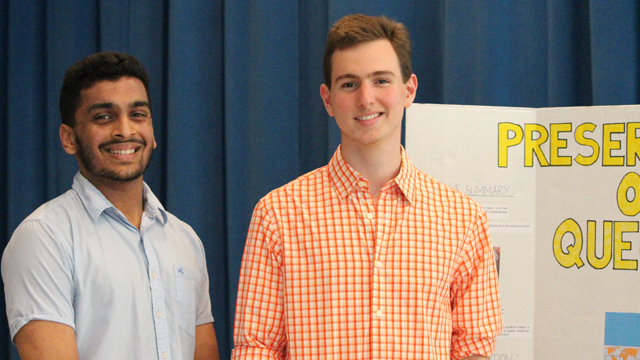 In fact, two of the co-founders of GDL were the earliest recipients of the latter fellowship, which awards Bruins $5,000 to implement a project abroad. 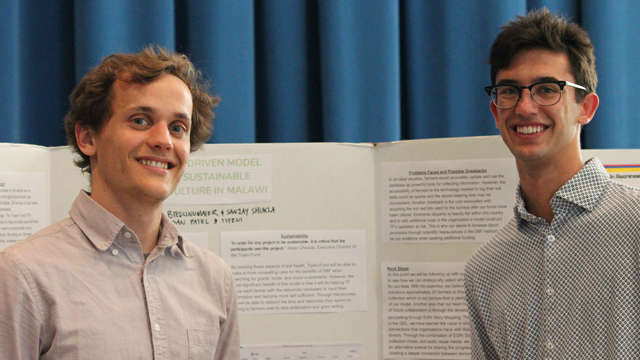 By the time certain Lab members graduate, they will have honed their project design skills over four years, arriving on the job market with tangible skills and a deep knowledge of international development literature. Go Bruins! 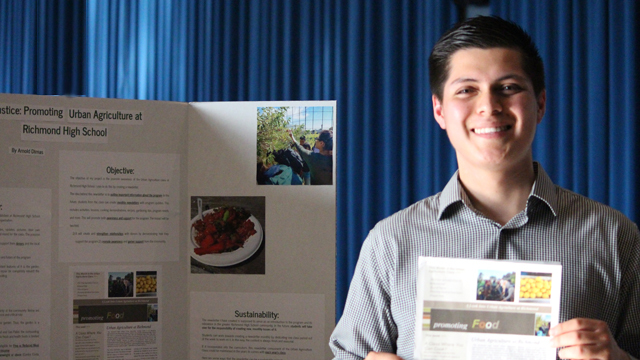 See article from last year's annual event. All photos by Peggy McInerny.